The wine peeps have come and gone, the grape leaves are falling as the winds blow through the night. 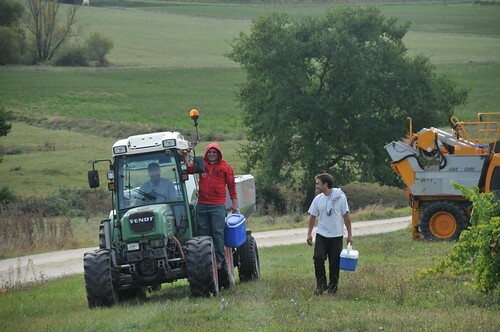 It was great to watch the harvest. 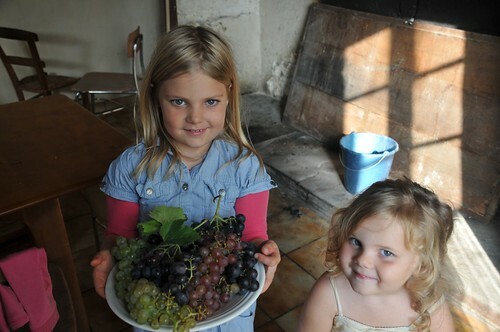 The chief of the vendange brought us out to where some of the better grapes were for us to pick. 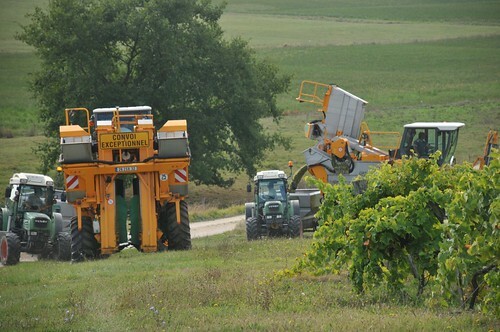 All of the grapes will be used along with other grapes from other farms for a large, local wine maker. And sadly, this will be it for this set of vines. As part of our buying the farm, the vines will be cut. The vines are not in the greatest shape and are ready to move on to open pasture. 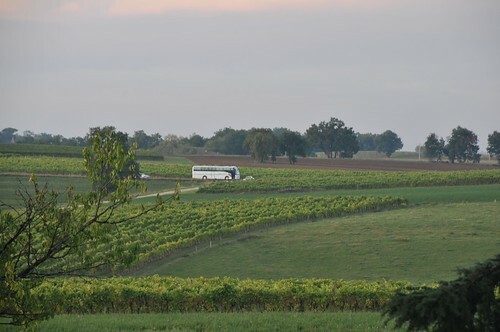 It’s stunning to have an established vineyard at the farm especially while waiting for the kids to arrive in the school bus. We asked the chief if it was worth keeping some around. He quickly responded with, “non. 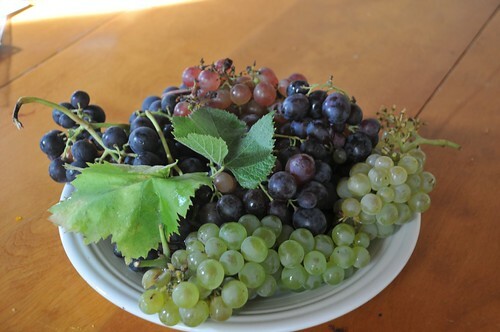 Non.” If we want some grapes, he recommended starting from scratch. So, we just might do that. These grapes aren’t the greatest for eating. The taste is AMAZING, but the texture is not there. It’s like a little round ball of juice, no need to chew.